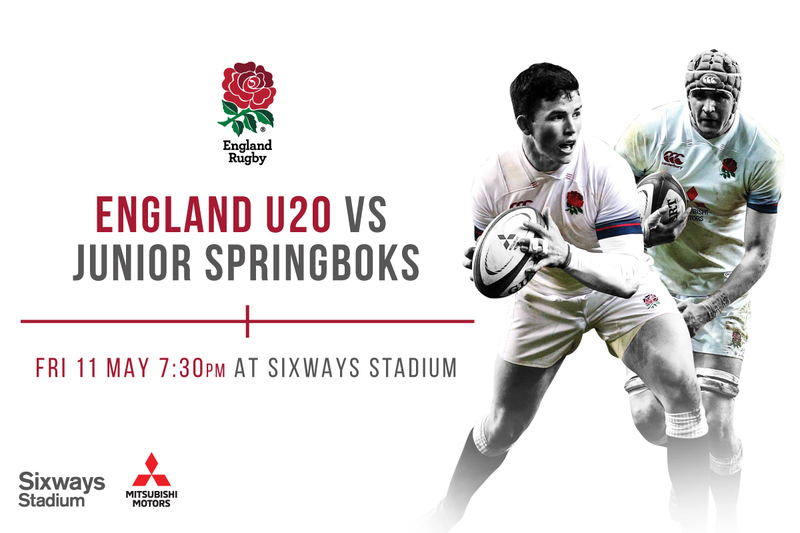 England Under 20s will play their South Africa counterparts at Sixways Stadium on Friday 11 May (kick-off 7.30pm) ahead of the World Rugby Under 20 Championship in France. The match against the Junior Springboks, which will be streamed live on englandrugby.com, takes place at the home of Warriors and will be crucial preparation for England ahead of the tournament in France between May 30 and June 17. England were beaten finalists in last year’s competition in Georgia and more recently finished runners-up at the 2018 Under 20s Six Nations. Playing their fixtures at Stade de la Méditerranée in Béziers, 2016 winners England will face Argentina, Italy and Scotland in Pool B of the World Rugby Under 20 Championship this summer. England Under 20s have faced the Junior Springboks in successive semi-finals in the tournament, defeating them 39-17 in 2016 and 24-22 in 2017. England Under 20s Head Coach Steve Bates said: “This fixture is an excellent opportunity for us to prepare for the World Rugby Under 20 Championship against high-level competition. “Playing a full international against South Africa is really going to focus everyone’s attention and provide us with valuable playing time before the tournament begins. “During the Six Nations we tried to play high-intensity, high-tempo rugby and we’ll look to replicate that at Sixways Stadium in May. Worcester Warriors Managing Director Gus Mackay said: “We are delighted to once again be hosting an international match at Sixways as we have seen in the past that there is certainly an appetite for international rugby in this region. Junior Springbok Head Coach Chean Roux said: “This is a great opportunity for us to measure ourselves against a top-class team. “Solid preparation is key for every side working towards the World Rugby Under 20 Championship and, with England coming off a good Under 20s Six Nations campaign and having been finalists in the 2017 Under 20 Championship in Georgia, this will be a good challenge for us. Tickets for the match are priced at just £10 for Adults and £5 for Juniors. Warriors Season Ticket holders can also buy tickets for £5. Tickets are available by visiting the Warriors Ticket Office, clicking here or calling 01905 459309.